Swivel cam vise opens 4″ – fast, lever-lock. Work length stop. Capacity: 1 .5″ solids, 2 1/2″ pipe. Optional power down feed, semi-automatic, air/oil feed. #PH-14. Optional WET model # K10SW, coolant w/pump and tank, stand, 24 volt@ switch. 1 ph , 110/220 volt or 3 ph 110/220 volt, Please Specify when ordering. Model: K10SF-1 3 hp, 1 ph 110/220 Stand & foot operated chain vise. 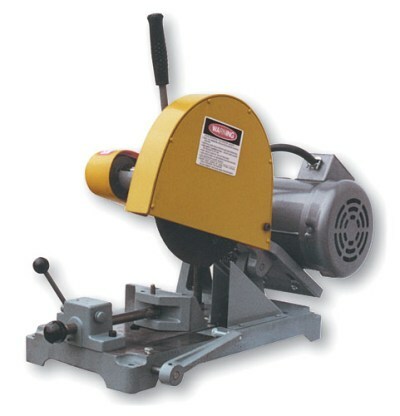 Model: K10SF-3 3hp, 3 ph, 220/440 Stand & foot operated chain vise. Model: K10SW 3 hp , 1 or 3 phase..wet with pump.